Adweek's Kristina Monllos (left) talks to Giant Spoon about their SXSW activations. At SXSW in 2018, all of the buzz fell on HBO for its Westworld activation. This year, the agency behind it all, Giant Spoon, went big again with a Game of Thrones stunt that had people talking (and lining up to donate blood). 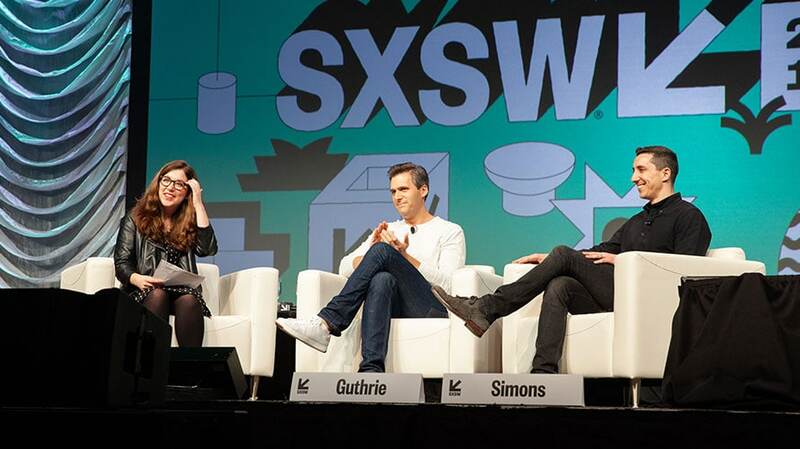 On this week’s episode of the Adweek podcast—Yeah, That’s Probably an Ad—Brand Marketing Editor Kristina Monllos joins Senior Editor Doug Zanger to discuss her experience at this year’s SXSW and listen in on the panel she moderated there with Trevor Guthrie and Marc Simons, co-founders of Giant Spoon (Adweek’s 2018 Breakthrough Agency of the Year). You can stream the episode below, subscribe via Apple Podcasts or look for us on Spotify.